General application guidelines: for optimal results contact us. For optimal results contact us. The standard application rate is 7-10 liters/ha. 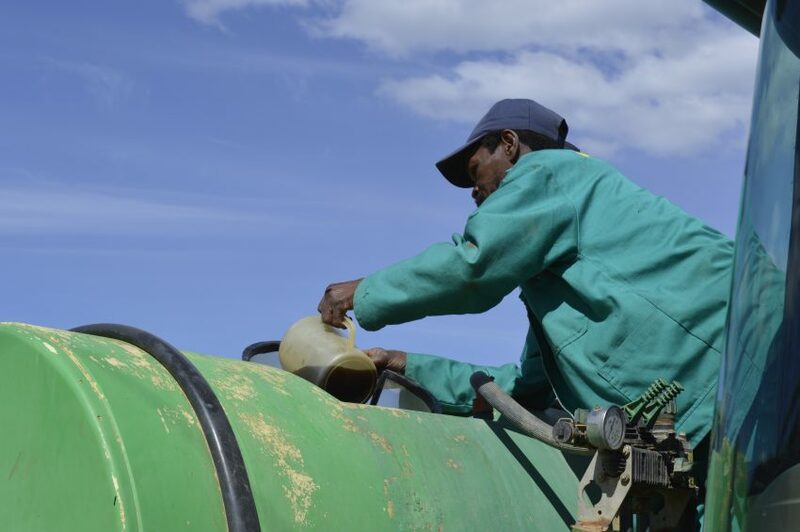 Dilute in sufficient water to apply the 7-10 liters to 1/ha etc. If already using N-P-K products: applications rates for N-P-K can be reduced down to 50% (or even lower in several cases) when using ExploGrow™. In any event, we recommend that you discuss your fertiliser program with an ExploGrow™ field agent. If Soil Organic Matter (OM) is low (i.e. heavy sand or heavy clay soils) increase the initial application rate by 5 liter/ha for all applications. Avoid extreme temperatures. Store at 5-27 °C. Always properly calibrate your sprayer prior to application to assure recommended application rate per ha is achieved. Apply in late afternoon or at sundown to ensure optimal absorption. For second application: Foliar application is suggested. ExploGrow™ can be co-applied with your irrigation water through a metered irrigation system. Product can also be co-applied with liquid N-P-K. DO NOT Co-apply ExploGrow™ with fungicides, fumigants or pesticides. Before co-applying with herbicides and all other co-applications, please enquire with an ExploGrow™ consultant. The product should be gently agitated prior to application. In smaller containers, simply shake the container prior to loading into sprayer.